There are few parents who haven’t struggled to know what to say or do in light of their child’s behaviour. Sometimes they say things to a child that they later regret or sometimes they think what they are saying is helpful. Based on my conversations with parents, I have pulled together the top 5 statements that adults say to kids that can turn the tables on a healthy relationship with them. While they may make sense to adults, they often don’t to kids. If there were one thing that mattered most in parenting it would be to convey to our kids that we know how to care for them. Their need for connection and attachment is what nourishes the roots from which their psychological growth occurs. 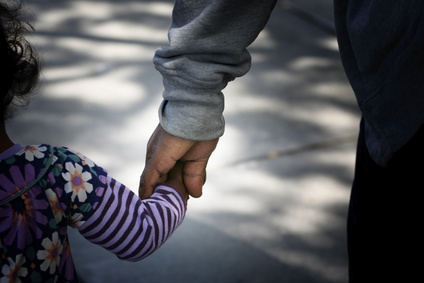 It isn’t about parenting perfection but about the consistency of care, the generosity to connect with them, and how they come to take for granted we are there for them. When it comes to preserving and protecting our caretaking role, the following five phrases can backfire. While many of these are in popular usage, they don’t seem to be well thought out in terms of the impact on the adult/child relationship. A consistent and steady diet of these phrases could court a child to take the lead in their relationship with adults and press down on emotions that are critical to their development. There are likely few parents who have not said at least one of these following phrases to their kids. One-off statements are less of a problem than in repeatedly hearing the same sentiment from a parent. Repeated exposure is more likely to become internalized and create emotional issues. These phrases may also be more provocative for a more sensitive child because of their acute attention to matters of attachment and vulnerability. The good news is when we can make sense of how a child might perceive our words, we can make different choices in how we communicate with them. Sometimes we really don’t know what to do with a child. We are baffled, overwhelmed, frustrated or confused and these words just seem to slip out echoing our discombobulated internal world. The question is what does a child hear when we make this statement? This statement is a declaration of our incompetence as parents. It is like being at work and telling your boss you don’t have a clue what you are doing. Why would we ever do this intentionally? It is the surest way to be fired from a job or ensure that someone starts bossing us around on how to do our job. Perhaps this statement is a ploy to get the child in line and to get them to act in a certain way, or perhaps it is a way to alarm them and scare them straight. Whatever the reason, it can convey to a child that a parent is overwhelmed and that the child is “too much” to care for. If a parent declares their incompetence consistently enough, then a child’s brain will not stand idly by – it will move to fill in the caretaking gap that has opened up. The child can start to boss the parent around and command them on how to care for them. A child could also become a little mother hen and take care of their parent, making sure they don’t upset them or get out of line. Either way, the child is not resting in the care of their adult and the tables have been turned when it comes to the caretaking relationship. For more on alpha problems please read Who’s In Charge? Reclaiming the Lead. Kids are still trying to figure out their feelings without having the added pressure of taking on the emotional needs of their adults too. The role of a parent is to care for the child’s feelings and not the other way around. Kid’s need to figure out their own feelings first, then they will be able to understand the feelings of others, and how they effect other people. Adults are meant to hide their feelings when it comes to caring for their kids – from their frustration to one’s fantasies about running away and never coming back. We weren’t meant to place our feelings on a child’s shoulder. We don’t need to overload them emotionally with how they are effecting us as parents either. While it is natural we would have feelings, this should never be seen as taking away from the strong caretaking they can expect from us. If my kids see me crying, I tell them I will be okay, I thank them for their hugs and concern, and just continue onward in caring about them. To encourage a child to assume responsibility for a parent’s feelings is to turn the tables on their relationship. A parent asked me about this statement at a presentation I was giving on attachment. She wanted to know if there was some value in asking her child this in the hopes it would foster a stronger connection with them. While I truly understood the good intentions behind this statement – the desire to show a child that they are loved – I was very concerned how this statement could tip the relational tables between a parent and child. When we ask a child this question we also lose the element of surprise that is so nourishing in being loved by someone. We lose the chance to get there first without being told how to love someone. We run the risk of turning a child into a consultant when it comes to love instead of assuming our caretaking stance that conveys we have it all covered. We cannot invite a child to rest in our care when we have to consult them on how we should be taking care of them. They cannot truly feel loved if they have to give us directions on how to do this. This question makes a mockery of the best an adult has to offer a child and the caretaking position we were meant to assume. Love is arrogant in the best way possible. I understand the place from which this statement is uttered – from sheer frustration and overwhelm in having to deal with a child’s upset, actions, and emotions. This is the sound of a parent who longs for the mayhem to stop and for order to be reestablished. What does a child hear when this statement is made? What a child hears is that relationship is conditional upon behaviour. What they may feel is that an adult doesn’t want to be near them when their actions are too much or too hard to handle. What they see is how a parent is stretched to their limits, what they understand are the limits to their parent’s relationship with them. What they may feel is alarm about their relationship with their parent and how their actions can reduce contact with someone they wish to be close too. Sometimes we need to convey to a child that our relationship is bigger than their behaviour. Sometimes we need to let them know that despite their actions not being okay, that our relationship still is. This will test the maturity level in a parent and their capacity to not let their frustration lead interactions with a child. We will need to find another way to lead through the impasse. What our kids need to know is we are hanging onto our relationship with them across conduct and performance. We will need a strong relationship with them in order to lead them to more civilized ways of expressing and conducting themselves. I imagine a number of parents have thought “what is the matter with this kid” in the heat of the moment. Our inside voice is one thing but there can be problems when we start to verbalize these sentiments out loud. Why? Because it is shaming and can convey we think there is something wrong with a child, rather than something wrong with what they are doing. Kids don’t often differentiate between their actions from from who we think they are. A child can internalize repeated messages that there is something wrong with them especially if said by people they are attached to. From “you are too sensitive” to “you are so mean,” it can leave a child with a sense that they are not okay. Instead of feeling an invitation to exist from people around them, they can feel pressure to change what they express and how they act so that others will accept them. Shame lingers and these messages can be replayed over and over again. Shame alters the invitation we expect from others when it comes to connection. What could we say instead of these five phrases? There are many things but the most important issue would be not to parent from a place of overwhelm, frustration, and confusion. We need to speak in a way that ensures our caretaking comes through to our kids. This is how we communicate we are their best bet, we have their backs, we know how to care for them – through the storms and good times – and that they are not to much for us. Invariably, you will be thinking – but what do I say instead? I will highlight some phrases that I think are helpful but I first have to say how I really dislike putting word’s into someone’s mouth. Why is this so? Because they are my words and not a parents. Because they come from my head and not the one who is leading the child. Because they are so devoid of understanding of the context in which someone is caring for a child and with this, can’t help but miss the mark. Because a parent will think the ‘magic’ to parenting is in their words and not in the relationship they cultivate with their child. Because I believe that when parents reflect on what they say and choose to do something differently, the learning is theirs forever as well as the confidence that they really are their kid’s best bet. So, with all these caveats in mind, I will list some of my favourite phrases because my clients still tell me this is helpful in trying some new things on for size. I also find these helpful when faced with my own parenting challenges too. So much of parenting is about hiding our needs from our kids and ensuring they don’t bear the weight of our emotional world. We don’t want to push our unfiltered feelings and thoughts onto them and yet we will need to make room for the feelings that our kids stir up in us. Hopefully we have an adult relationship that can bear the weight of our emotional world – a friend, a partner, a spouse. When we focus on our words and their impact on our caretaking relationship we can find a better way through. Attachment is a two way street, we can never forget this. 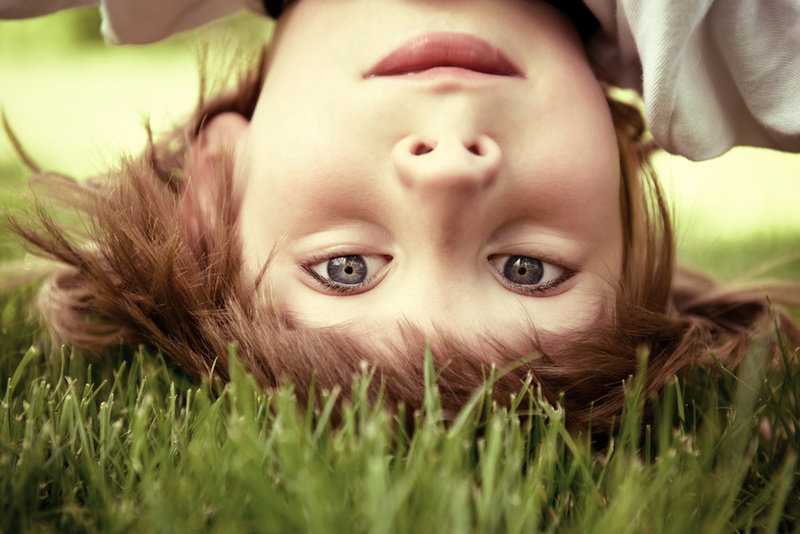 We need our kids to fall into attachment with us – our love for them alone is not enough. Deborah MacNamara is in private practice, on Faculty at the Neufeld Institute, and is the author of Rest, Play, Grow: Making Sense of Preschoolers (or anyone who acts like one). For more information please see www.macnamara.ca or www.neufeldinstitute.com.